What better way than advertising banners to spread the message about your business? It also gives you the opportunity to represent it in an attractive and eye-grabbing way. Vinyl banners offer every business owner a great opportunity to advertise their business in an original and varied way. Because of their versatility and wide scope of applications, vinyl banners are really practical advertisement method. They can have a huge impact on the audience, when the right location and fine artwork elements are available. As wide format applications, they can be put literally everywhere. Therefore, because of their wide range of applications, the factors for future damage to the banners can vary significantly. 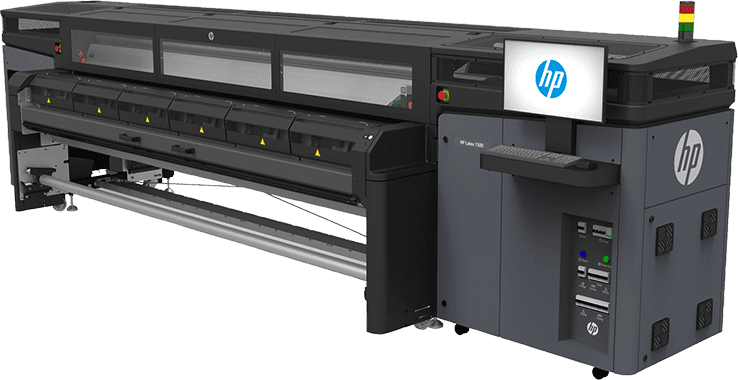 The sphere of large-format printing services is constantly changing and facing the challenge to meet the industry’s increasing demands for quality and faster turnaround. Innovative solutions are needed to meet the new requirements of both the business and the customers. Vinyl is a popular banner choice and it’s preferred for its durability, cost-effectiveness and is suitable for one-sided and double-sided signage. Also, they can be customized according to the user’s needs. Vinyl banners are made from two products: polyester mesh (scrim) and vinyl. Their strength is due to the polyester mesh. The density of the mesh fibers is measured in units called deniers. A polyester mesh with high fiber density leads to a smooth scrim vinyl. While we may think that the higher the deniers the better, this is not always true. A 1,000 denier mesh is not always stronger than a 500 denier for instance. 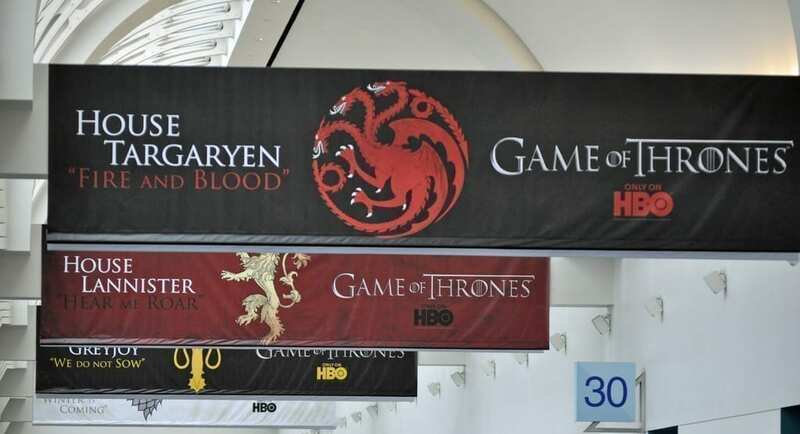 Liquid vinyl banners contain chemicals, which are mostly polyvinyl chloride or some plasticizer, which is used as a softening agent. They can be monomeric or polymeric, from which polymeric plasticizers add more flexibility and increased durability. Vinyl banners, containing monomeric plasticizers, when put outside usually don’t last longer than 1 year. How banner material is made? There are two ways to make banner material: it can be coated / dipped or laminated. The coating dipping process is feeding the polyester mesh into a coater, which covers the scrim with a hot vinyl mixture usually containing polymeric plasticizer. The lamination process includes two vinyl layers that are flattened together around the scrim mesh. The lamination process is mostly preferred because of its low price and is suitable for short-term advertising campaigns. On the other hand, the process of coating is considered to create the best quality banner material for long-term advertising goals and is worth its price. In order to achieve a great design with a desirable quality, we should have a good understanding of how vinyl banners are printed. We should consider capabilities of the specific printer, the ink and also the specific display and finishing techniques such as lamination. One of the key aspects, that play a key role in the quality of the end product, is the level of durability of the prints. The other deciding factor is what type of ink will be used in the printing of the vinyl banner. There is the question how long the banners will last? Will they require lamination to have good resistance to the elements or won’ t need any lamination? Before making a choice of a vinyl banner and specific large-format printing technology, we should first ask ourselves for what period of time we need the particular banner? What type of location we picked to put it on? We should decide what type of vinyl banner printing technology will be most suitable for our needs. Generally printing techniques are divided into latex, eco-solvent and UV-cure systems. Let’s take a look at the types of inks used in the vinyl banners printing process. Latex inks are the first water-based inks, which can be used for printing on a big variety of coated and uncoated surfaces. This type of ink contains water-soluble co-solvents, but it is not just pigments dissolved in water. Latex inks contain many compounds and surfactants, which let the ink to adhere properly to uncoated surfaces and the anti-scratch agent that protects the ink. Because water carries the ink, the ink is non-toxic, odorless, non-flammable and produces zero amount of volatile organic compounds. Therefore the ink doesn’t require special workplace ventilation or handling and meets the health, environmental and safety regulations . During the printing process, heaters evaporate some of the water enhancing the adhesion of the colorant layer. This process lets the concentrated latex polymer particles and wetting agents to meld and form a continuous layer, that chemically bonds to the print media. This helps to close in the pigment to form an even, durable colorant film. This process of film coherence is called “curing”. If we consider durability, latex and eco-solvent inks contain pigments, which makes them resistant to scratches, smudges and light exposure. HP latex inks provide most durable results, that exceeds these of eco-solvent inks and their results are equal to those of low-solvent inks. When compared to eco-solvent inks, latex inks offer better scratch resistance. They are also a better choice for vehicle wrapping, since latex ink prints are evenly stretchable on printed and unprinted areas. They are also an eco choice, because their water-based compounds and recyclable substrates lessen the impact of printing on the environment. HP Latex Technology is a single-step process and includes ink, that can be used for printing of signage on soft fabric, designed for indoor use. This ink can be used with coated and uncoated fabrics and offers high-speed printing. It provides odorless result and flexibility, which creates the feel of an uncoated material. This printing technique is called soft signage and it’s increasing its popularity. It can be printed on cotton, polyester or other type of fabric. It offers better appearance than the traditional PVC or self-adhesive vinyl banners. The option to choose from recyclable fabrics makes it more eco-friendly. PSP printers for example offer many options for textile printing such as HP Latex Technology, UV-curable ink technology and dye-sublimation technology. Latex printing technology makes it possible to print flexible indoor graphics. The first advantage of latex ink is that it dries fast and thus allows the manufacturer to offer same-day delivery. The banners printed with eco-solvent ink require lamination in comparison to the latex ink prints, which offer vivid and durable ready-to-use prints. This can be finished directly after printing and have no smell. The second advantage of this ink technology is, that it has wide scope of applications. Latex inks can be applied on different coated, uncoated and flexible materials. They can be used for printing not only vinyl banners, but also outdoor and indoor applications, wall paper, canvas, textiles, films, transit signage and others. When it comes to image quality, we can say both latex and eco-solvent inks are a good choice. They offer rich color palette and photo-like image. But in the case of latex ink, it is easier to achieve best quality of the image and maintain it even through a wide range of applications. We can achieve excellent quality with HP Latex printers, which have automatic nozzle detection ensuring best quality and color consistency. But if we plan to print on rigid surfaces, UV-cure print technology is better than latex printing. It is suitable for printing on flexible substrates. Latex printing may not be a good option to print on textiles such as fashion or household garments. This is because the printed material won’t be durable enough. If we want to get the desirable durability, the textile should be pre-coated or post-printed. If we want to print on polyester, we should use dye sub printer and if we want to print on textiles like silk, linen, cotton, we need pigmented inks, reactive and acid dyes. Solvent inks go well with ink banners and offer good durability, when put outside, even without lamination. We should remember that, if we want to print with UV-cure ink, we should use vinyl banner material designed for this type of ink, but then the price can go up. The polyester-based vinyl banner printing material is suitable for UV-cure inks. Vinyl banners printed with UV-cure ink usually last 6 months, because they contain monomeric plasticizer and with time disappear from the banner making it more rigid and likely to crack in cold weather. Scrim banners are suitable for outdoor use and is one of the most durable as it consists of 1 layer of PVC polyester fabric laminated with 2 layers of clear vinyl. Its weight doesn’t determine the banner’resistance. They keep the graphics readable even when the wind is blowing. It’s worth its high price since is highly durable. It’s suitable for vehicle side graphics and billboards. It’s mostly used for indoor application, because it has no scrim mesh and can fall apart easily. It’s preferred for its clear and vibrant image display. It can be used for long-term advertisements. It can be used both indoor and outdoor as it contains polymeric plasticizer. Mainly used for outdoor banners such as wall-mounted and road banners, building wraps and fencing and is preferred for windy spots because the mesh holes let the wind move through them. Mesh banners are lightweight and have a long life, since they contain polymeric plasticizer. Another advantage of them is that they offer vivid water proof color that last long thanks to the semi-solvent ink used in the printing. Also they are flame retardant and air pollutants resistant. It can be used for covering a concert scaffolding and wrapping buildings. It has indoor and outdoor use and is preferred because it’s a strong and long-lasting material with light weight which makes it easy for transportation. When compared to the other banner types, it’s the heaviest. Because there is a black line in the center of the material it has an ability to block out light and that’s why it is preferred for outdoor use. Its material is strong and is durable in all kinds of weather. Good option for store advertisement, lawn signs and pole banners. In the case of grommets, if we have to make many numbers of banners, then we should better use automated grommeting machines. If we want pockets, hems or seams, we may need a heavy sewing or hot air welding machine to achieve best appearance. If our goal is long-term advertisement, then we should choose reinforced hem. There is the option of using a banner tape. Lamination is a finishing method, which consists of the application of a transparent film or liquid (clear coat) on the surface of the printed vinyl banners. The advantages of this finishing technique are that it increases the durability of the banner. It adds gloss or matte look and also makes the banner more rigid and fit for applying on large surfaces. Film lamination is the most commonly used technique and is preferred for its low price and high level of protection. In the long term it can offer good protection from water and chemicals as well as scratches and abrasion. The addition of UV filter in the film makes the banner resistant to light exposure. Liquid lamination, also called clear coat, is suitable for PVC banners and canvas made from flexible substrates. They are also suitable for vehicle fleet wrapping when an economical solution is needed. One of its disadvantages is that its application is more difficult, because a steady layer of liquid should be applied. Our choice of vinyl banner should depend on how much durable we want our vinyl banner to be? The different environments call for different durability level of the banner material. There are generally three types of banner resistance: light-fade resistance, scratch and abrasion, water and chemical resistance. For instance light-fade resistance means how much a vinyl banner is resistant to light. Depending on the intensity of UV light exposure, every vinyl banner have different life expectancy. For example, tests show vinyl banners printed with inks containing pigments, such as HP latex inks, usually last longer than the vinyl banners, printed with inks that contain dyes. 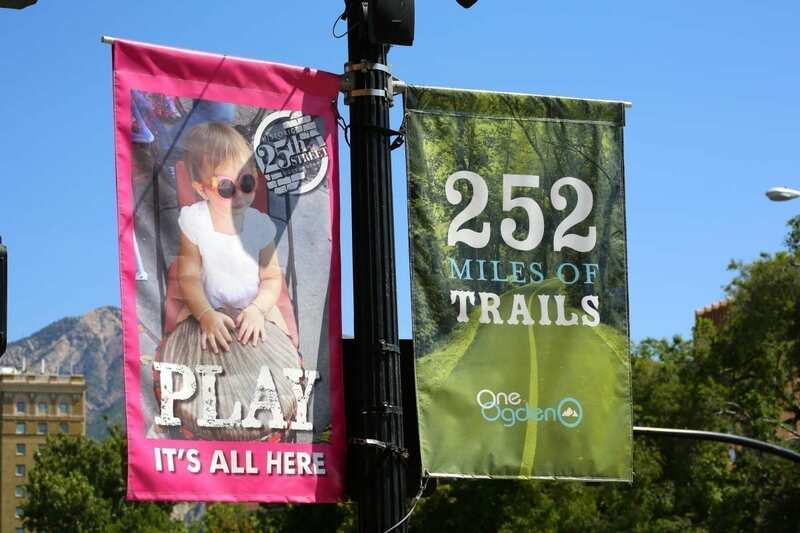 Eventually banners printed with HP latex inks also fade over time, depending on the level of UV exposure. There are three generations of HP latex inks. Water and chemical resistance shows the ability of a banner to endure water, different chemicals and cleaning products, which can come into contact with. Indoor banners can be regularly cleaned with water and detergents, while vehicle banners are likely to have contact with fuels. In the case of scratch and abrasion resistance, tests show that when anti-scratch agent is added to the HP latex ink, this gives the vinyl banner high level of scratch resistance. This type of resistance limits the risk of potential damage during the finishing, installation and display of unlaminated vinyl banners.